The Cosmic Stream design was inspired by the stars flowing through our galaxy just like a stream of water. 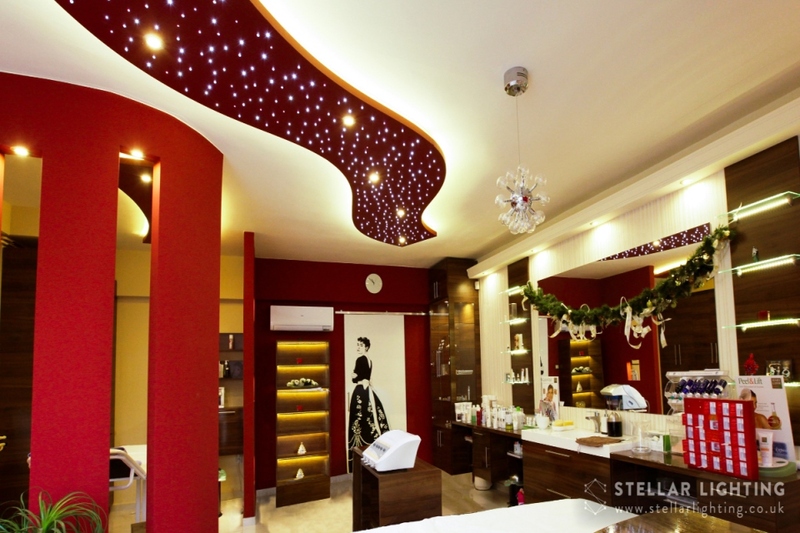 This star effect ceiling panel can wave along a corridor or hallway, bringing a touch of starlight to what is often an overlooked area. In addition to the star effect lighting, the model shown features spotlights and warm white rim lighting. The spotlights, twinkly lights and the edge lighting can be controlled separately using the remote controller provided. 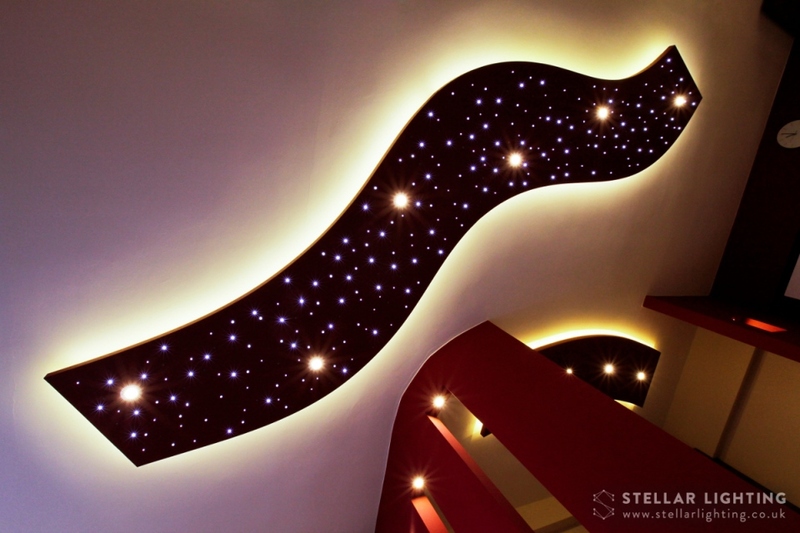 Each Cosmic Stream panel is specially designed for its location - if you are interested in one of these beautiful starry ceiling panels please contact us with your requirements and we can give you a quote.